Uses Berdan priming for long shelf life and sure-fire ignition. Featuring lacquered steel cases for distinctive "brown" look. Order your Brown Bear ammo today! 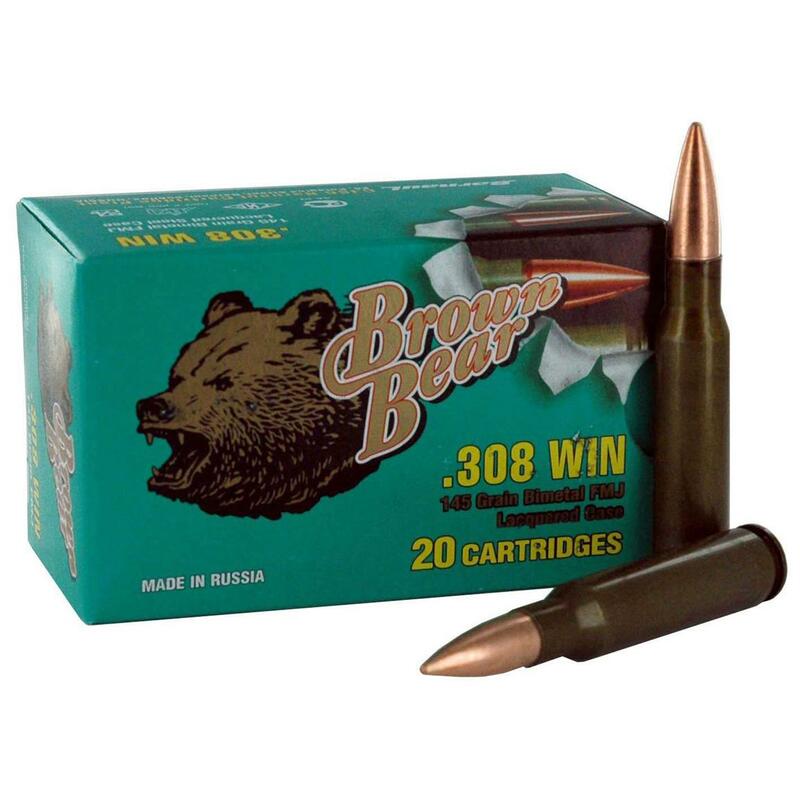 Brown Bear, .308 Winchester, FMJ, 145 Grain is rated 4.1 out of 5 by 12. Rated 4 out of 5 by jake from good affordable plinking ammo I wasn't expecting much accuracy from these but they actually performed very well through my FNAR semi-auto hunting rifle. I have only gone through a box of 20 but had no issues cycling and grouped decently well for the price. Rated 2 out of 5 by KY FAT DOG from DNF My Son and I ran 20 rds thru his Ruger 308 Bolt action rifle, Had 5 DNF, Average size mark on primers.They grouped well......... When they go off. Rated 4 out of 5 by MICHAEL from Clean burning, cycled well in my DPMS. Rated 4 out of 5 by BRUCE from Good shooting ammo at a good price.